Insuring a vacant home is possible, but it tends to be expensive. 1. Does Flood Insurance Cover a Mudslide? 3. What Happens When Your Homeowners Insurance Lapses? First, the good news. Some, but not all, companies will insure vacant houses. Next, the bad news. You will pay dearly to insure vacant homes. At a minimum, you'll need to add a rider to your homeowners or hazard insurance policy. Vacant houses are risky to insure, as no homeowner or renter is on the premises. Losses tend to occur from vandalism along with potential hazards, such as fire, wind or lightning. If the vacant home was your former residence, tell your insurance company. Yes, it's tempting to remain silent. However, if you suffer losses, your company may not cover you, as most homeowners policies assume you live at the home. Should you vacate your home, many policies contain language that excludes payment for otherwise covered losses if the house is vacant. If the home you want to insure has been vacant for more than 30 days, most insurance companies will not pay losses. The 30-day rule is used by most home insurers. If your home or an investment house is vacant for more than 30 days, you need to get hazard insurance for the property as an unoccupied home. It is expensive but not as costly as using your own cash to make repairs for uncovered damage. 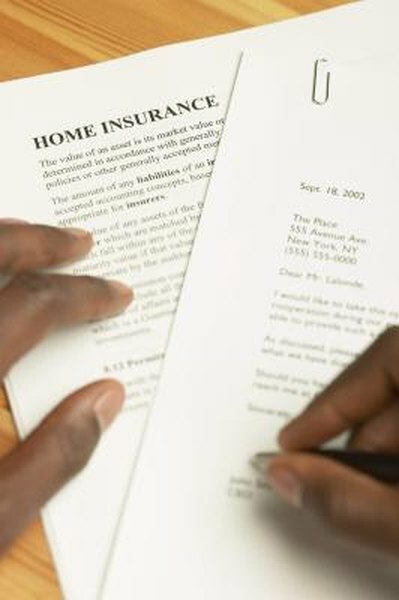 If your home is going into vacant status, contact your insurance company to learn whether they'll cover the house and how much it will cost. Silence, in this instance, is the wrong strategy, as hazard losses will not be covered once your company learns the home was vacant. It is tempting to remain silent, but it can be very costly. If your carrier learns that the house was vacant, while you neglected to tell the insurer, it may simply refuse to pay your claim. While vacant homes can suffer from typical natural hazards, such as fire, wind and lightning, these properties have increased risk for vandalism and liability. For example, if your house is vacant, people, often children, can "play" on your property and suffer injury. The likelihood of these injuries spikes dramatically if your house is uninhabited. Another common loss involves frozen plumbing in the cold of winter. Many vacant homeowners neglect to keep the heat at 55 or 60 degrees, which prevents pipes from freezing and, possibly, bursting, flooding the home. Because of the increased danger of natural or other more human hazards, vacant houses need your protection. However, most vacant house hazard policies will only cover "named perils," leaving you exposed to other uncovered losses. Owning vacant property demands that you try to get it occupied as soon as possible. The cost of insurance and higher probability of losses should motivate you to occupy or find occupants quickly. Insurance companies say that vacant houses are targets for natural hazards, vandalism and all forms of malicious mischief. Actuarial statistics confirm their belief. While you can find insurance for a vacant home, always consider it short-term protection. Does Homeowner's Insurance Pay for Broken Gutters?